Should I buy a 4K tv? Is 4K tv worth it? If you are looking for a new television then you’ve probably heard someone mention 4K or UHD. Most of us don’t keep up with the latest digital trends but when we are about to buy something as exciting as a new television we want to know how one 55” flatscreen tv can cost $499 and another brand’s 55” can cost $2499. There are many features and specs that make up price but one of the most important is resolution, and the latest technology is 4K UHD. UHD or Ultra High Definition is the latest standard in high def television. UHD simply means more pixels (2160p) than the previous standard HDTV (1080p). As with all new technologies, there was a race to naming rights and 4K & UHD are interchangeable names. So if you see a tv that says 4K or UHD or 4K UHD, odds are they are all saying the same thing - this is the latest ultra high definition technology. What are pixels & why do they matter? Simply put, the more pixels you have the better. Pixels are the tiny little elements on a screen that when combined can create a picture. The more pixels on a screen the higher resolution and the higher resolution the more clarity there is in an image. Imagine trying to create a picture with 4 colored squares vs 1000 colored squares. Odds are no one would know what you were trying to create with 4 colored squares but with 1000 there’s a good chance people could tell what you were trying to draw, and if you doubled that amount there would be even greater detail & clarity in your image. So how does 4K UHD compare to my 1080p television? With 4x the pixels, 4K UHD has twice the resolution of your 1080p HDTV. This means smoother lines and increased detail in the picture quality. Of course these tvs offer upscaling (they digitally boost an HDTV signal to a 4K signal) but your best results will occur with real 4K content. Also, to fully appreciate this upgrade make sure you are sitting within 4’-8’ of the television to get the best view of the increased detail. Where do I watch 4K content? There are numerous ways to enjoy 4K content and more and more avenues will be opening up in the future. The Sony 4K Ultra HD Media Player comes preloaded with 50 movies and documentaries and also allows you to rent 4K movies or purchase and store them to the built in 1TB hard drive. This media player works with non-SONY UHD televisions as well. The Samsung Galaxy S5 smartphone shoots video in brilliant 4K resolution. Pair your phone to your television and stream home videos for the whole family to enjoy. The new GoPro Hero4 shoots ultra high definition 4K video of all your crazy adventures in life. Instead of making everyone hover around a computer watching that time you decided to jump your bike into a kiddie pool, now everyone can gather in the living room and laugh at you and all your glory. Netflix is changing the game once again with a 4K streaming service! You can also use your smart tv’s apps like Amazon Instant Video or YouTube to get 4K content and many cable providers are launching their 4K streaming services as well. 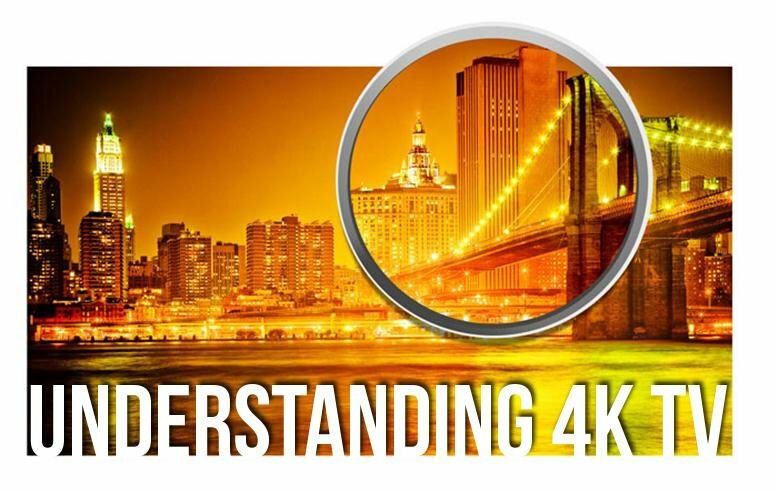 I hope this helps answer some of your simpler questions about 4K UHD televisions and content. If you have any more specific questions please ask one of our experts in the electronics department at any RC Willey.